Trina Solar (TSL) is a vertically integrated company right from the production of ingots to modules. The company was founded in 1997, with 12 offices worldwide. Trina Solar has partnerships with leading installers, distributors, utilities and developers in all major PV markets and is listed on the NYSE. 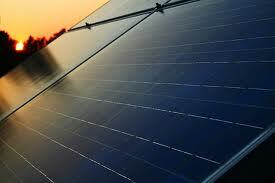 Trina Solar is one of the lowest cost Chinese solar panel manufacturers globally. Both Yingli Green and Trina Solar are amongst the best buys according to me in 2013. They are low cost Chinese solar panel producers. Trina Solar modules are classified for convenience of use into Commercial, Residential & Utility. Trina Solar offers i) PA05: 60 cell Universal (residential, commercial and utility) ii) PD05: 60 cell Dual Glass (residential, commercial and utility) iii) PA14: 72 cell Utility, iv) PD14: 72 cell Utility. They come in both monocrystalline and multicrystalline makes. Yingli Solar panels are divided into: i) Monocrystalline: PANDA 48 and 60 cell series ii) Multicrystalline: YGE 48, 60 and 72 cell series and iii) Off-grid modules: YLSYS 300, 800, 1200 and 1600 series. Yingli solar panels can also be conveniently used for residential, commercial and utility purposes. iii) Utility: 60 cell universal module PA05, 60 cell dual glass module PDG5, 72 cell utility module PD14. Yingli Green Energy – i) Residential: PANDA 48 and 60 cell series and YGE 48 and 60 cell series. For Trina Solar modules, the cell type is 125×125 mm in monocrystalline modules and 156×156 mm in multicrystalline modules. For Yingli modules, it is generally 156×156 mm. Yingli Green modules have a positive power tolerance of 0 W to+5 W, while Trina Solar modules have a power output ~0-+3%. Trina Solar modules weigh 15.6 kg for monocrystalline panels and 19.5 kg and 28 kg for multicrystalline modules and Yingli modules weighs between 15 to 21 kg. Trina Solar come with a 10 years product warranty & 25 years linear power warranty. Yingli Green Energy modules come with 10 years limited product warranty and limited power warranty of 10 years at 91.2% of minimal rated power output, 25 years at 80.7% of minimal rated power output. Trina Solar Modules are manufactured according to international Quality and environment Management System Standards ISO9001, ISO14001. Yingli Green modules are certified under IEC 61215, IEC 61730, MCS, CE, ISO 9001:2008, ISO 14001:2004, BS OHSAS 18001:2007, SA 8000, PV CYCLE. Read other technical details of solar modules of both the brands here: Trina Solar and Yingli Green Energy. Nice relevant information before we go for purchase.It would be better if you tabulate the comparison of top five manufacturer giving main characteristics and the per watt price as on 15 march 2015 ex factory.